every year, i have good intentions to carve pumpkins, but we always run out of time.this year, i am determined to carve our pumpkins. 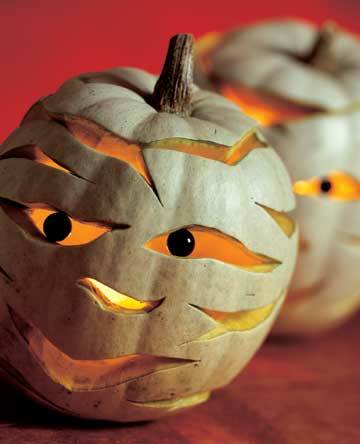 here are a few pumpkin carving ideas i came across.above, witch jack o lanterns. pumpkin totem black magic carved pumpkinsvultures cavehungry jack o’ lantern mummy pumpkinsi also love the painted ones, black and white painted pumpkinsclick here for some great templates! 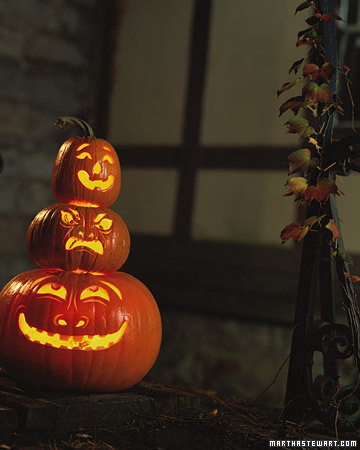 Every year, on Halloween, it became my habit to check out some of the latest pumpkin carving ideas and designs coz I want to try something new. Thanks for sharing these ideas. 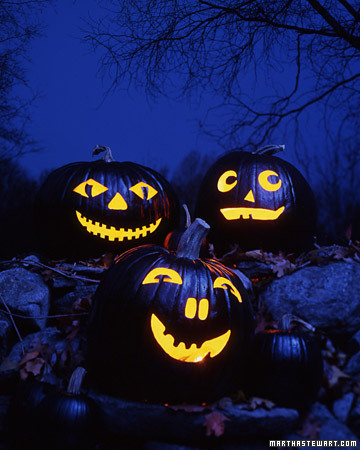 I think this year, I'm gonna go for something hilarious, or maybe something gross like the "throwing up" pumpkin.